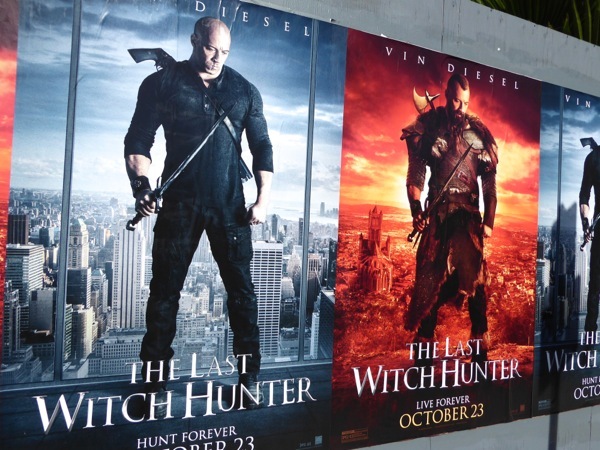 The week before Halloween seems like the perfect time to release a movie called The Last Witch Hunter (that is, unless you're a witch). 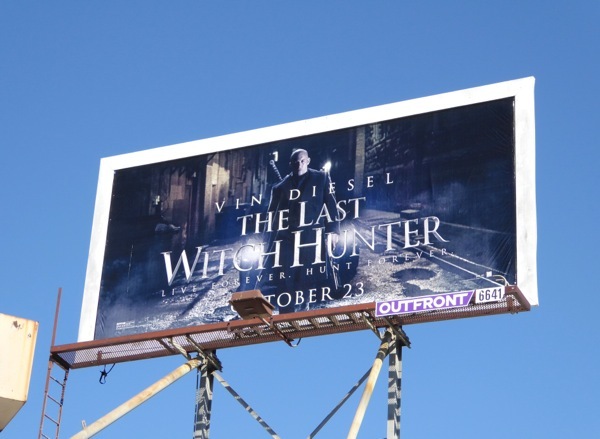 Action hero Vin Diesel hopes to kickstart another film franchise with his latest cinematic outing as long-lived witch hunter, 'Kaulder', cursed with immortality by a sorceress and scouring the modern world for the evil supernatural spell-casters before they can destroy humanity. 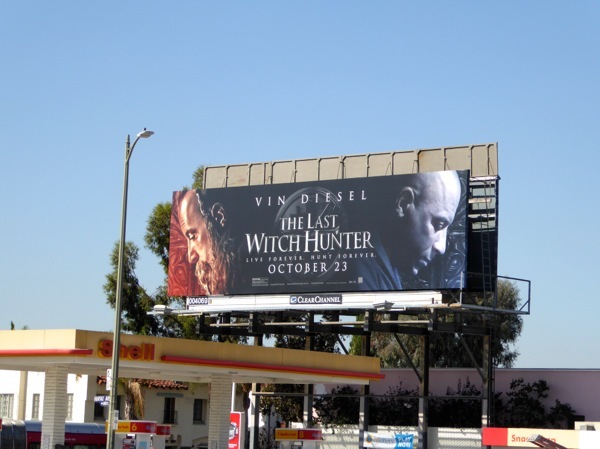 These billboards for the fantasy movie (where you get two Vin Diesel's for the price of one) were first spied along Fairfax Avenue on October 3, plus spotted later along Sunset Boulevard, La Brea Avenue, La Cienega Boulevard and Westwood Boulevard through October 11, 2015. 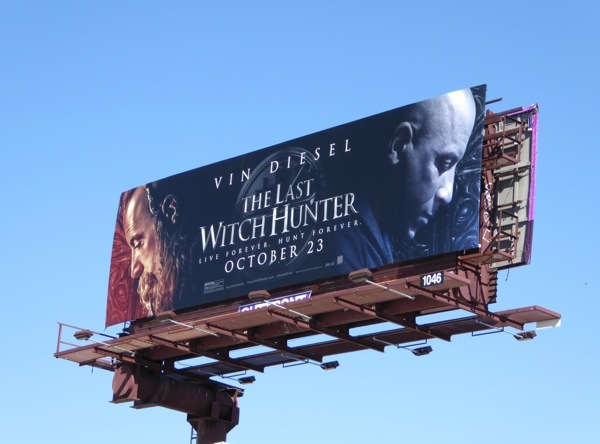 If you're a fan of the actor, be sure to also check him out in these Riddick movie billboards and these various Fast & Furious movie billboards. 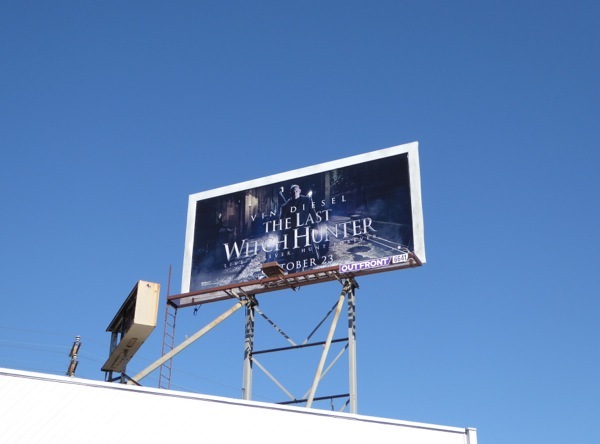 Plus for another similar movie premise, be sure to also check out these billboards for Hansel & Gretel: Witch Hunters from 2013. Meanwhile if you're a fan of witches, you can also enjoy these Salem TV series billboards, Witches of East End TV series billboards and this giant Wicked Witch of the West billboard for Disney's Oz The Great and Powerful movie. 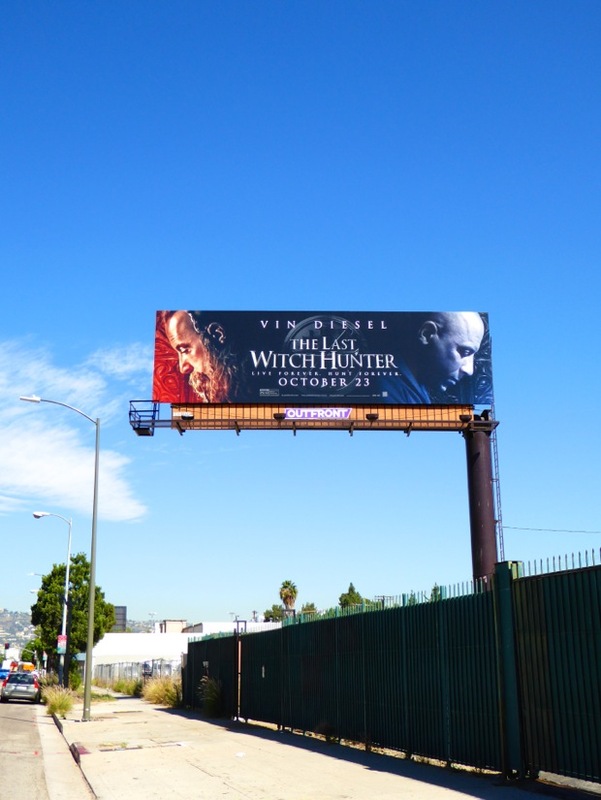 He's lived forever and hunted forever, but will his immortal exploits tempt you to the cinema this weekend? 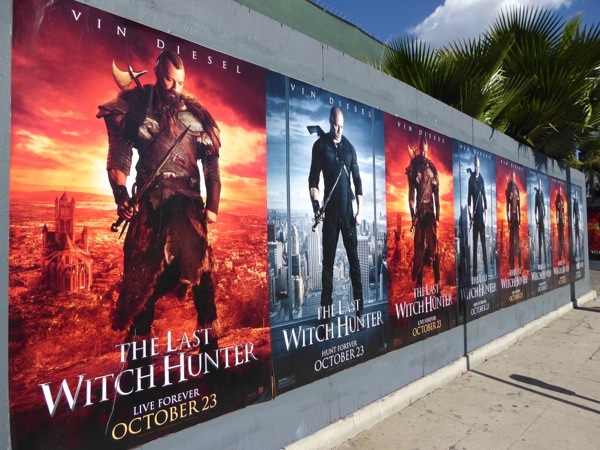 UPDATED: Here's also some posters for the film, which looks like it won't be turning into a franchise anytime soon after the poor box office. 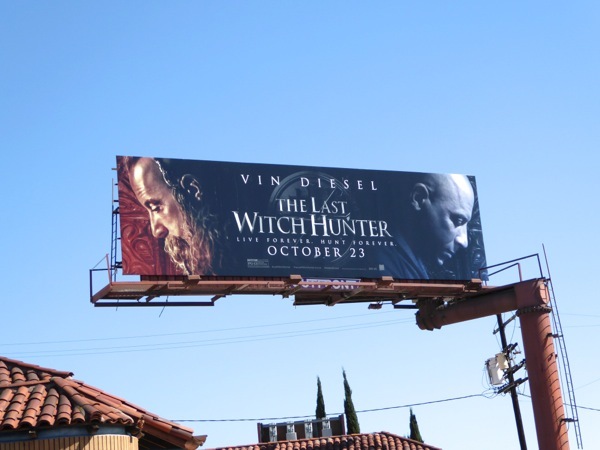 These past and present looks for Vin Diesel were snapped along La Brea Avenue on October 29, 2015.